File initiated 30.11.2015. Information updated on regular basis; do check the original conference websites for up-to-date information. All conferences and workshops can be listed, where ALD has been the main topic (>50% emphasis). Newest first. To request to add a conference to the list, please leave the details in the Comment field below, or send the info to Riikka Puurunen by email, at "firstname.lastname@vtt.fi"
ALD 2018, 18th International Conference on Atomic Layer Deposition , Korea. Chair: Jin-Seong Park; co-chair, dates and location to be announced. Area-selective deposition workshop, ASD 2018. Raleigh North Carolina USA, March/April 2018, Chair: Gregory Parsons. Record of announcement: https://twitter.com/ErwinKessels/status/855472700168470530. AVS64, 64th International Symposium & Exhibition, Tampa, Florida, USA, Oct 29 - Nov 3, 2017. http://www.avs.org/Symposium/Call-For-Abstracts. Abstract DL May 1, 2017. E-MRS 2017, Warsaw Poland, 18-21 September 2017. http://www.european-mrs.com/synchrotron-radiation-and-atomic-layer-deposition-advanced-materials-emrs. Abstract DL: May 29, 2017. ALD Russia 2017, 2nd International Workshop "Atomic Layer Deposition: Russia - 2017", Sept 24-30, 2017, St. Petersburg, Russia. http://onlinereg.ru/ALD2017. Abstract DL: May 1. ALD 2017, 17th International Conference on Atomic Layer Deposition -Featuring the Atomic Layer Etching Workshop - July 15-18, 2017, Denver, Colorado, USA. www.ald-avs.org. Details will be posted to the ALD 2017 Website in November 2016. Abstract DL: February 17, 2017. Twitter: @AvsAld. Joint EuroCVD21- Baltic ALD 15, Linköping, Sweden, June 11-14, 2017. http://eurocvd-balticald2017.se/. Chair: Henrik Pedersen. Abstract submission opens: 10 November 2016; abstract submission deadline: 20 January 2017. Workshop on hybrid materials by ALD/MLD & Iberian ALD, http://www.nanogune.eu/event/ald-workshop-hybrid-materials. January 23-25, 2017, Donostia-San Sebastian, Spain. Chairs: Prof. Mato Knez, Dr. Mercedes Vila Juárez. HERALD collaboration. Abstract submission DL: Nov 20, 2016. RAFALD Le Workshop du Réseau des Acteurs Francais de l'ALD 14-16 Novembre 2016 Paris. https://sites.google.com/site/rafaldepot/. AVS 63rd International Symposium & Exhibition, November 6-11, 2016, Nashville, Tennessee. (Several sessions dedicated on ALD.) https://www.avs.org/Symposium. 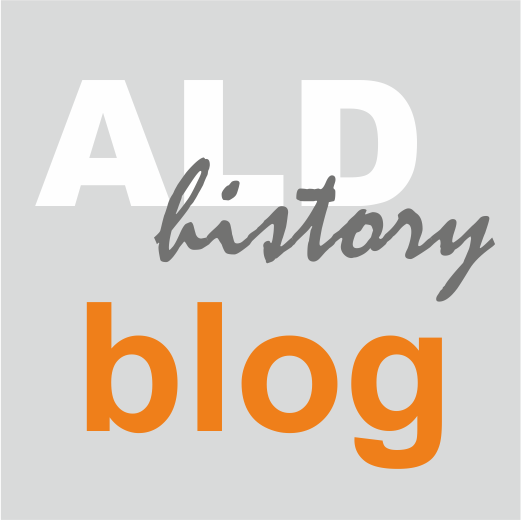 Travel report: http://aldhistory.blogspot.fi/2016/11/travel-notes-63rd-avs-symposium.html. Atomic layer deposition for two-dimensional materials (ALDfor2D) workshop, October 31, 2016, Eindhoven, The Netherlands. http://nanomanufacturing.nl/2DWorkshop/. HERALD collaboration. The 14th International Baltic Conference on Atomic Layer Deposition, October 2-4, St. Petersburg, Russia. http://www.bald2016.ru/. Abstract DL (original: June 15, postponed): June 25, 2016. Travel report: http://aldhistory.blogspot.fi/2016/10/balticald2016-stpetersburg-travel-notes-puurunen.html. PRiME 2016/230th ECS Meeting, October 2-7, 2016, Honolulu, Hawaii. Link: https://ecs.confex.com/ecs/230/cfp.cgi. Abstract DL Friday, 15 April 2016. ALD 2016, 16th International Conference on Atomic Layer Deposition, Dublin, Ireland, July 24-27, 2016. http://ald2016.com/. HERALD collaboration. Chairs: Simon Elliott and Jonas Sundqvist. Inera conference 2016, Vapor Phase Technologies for metal oxide and carbon nanostructures, July 5-9, 2016, Velingrad, Bulgaria. http://inera2016.issp.bas.bg/ Chair: Alexander G. Petrov. Synchrotron radiation to study atomic layer deposition, Barcelona, Spain, Jun 13-15, 2016. https://indico.cells.es/indico/event/63/. HERALD collaboration. Organizers: Massimo Tallarida, Jolien Dendooven. Abstract DL (original: April 4, 2016; postponed): April 22, 2016. HERALD WG2 workshop, at the same time Annual Seminar of Finnish Centre of Excellence in Atomic Layer Deposition (ALDCoE), Helsinki, Finland, May 23-24, 2016. http://www.aldcoe.fi/herald/index.html HERALD collaboration. Chair: Markku Leskelä. ALD for Novel Sensors and Biosensors Workshop. May 11-12, 2016, Magurele, Romania. http://www.infim.ro/events/ald-novel-sensors-and-biosensors-workshop. HERALD collaboration. "ASD 2016", Area selective deposition workshop - ASD 2016, April 15, IMEC, Leuven, Belgium. http://www2.imec.be/be_en//education/conferences/asd-workshop-2016.html. HERALD collaboration. Novel high k application workshop, by NaMLab, March 14-15, 2016, Dresden, Germany. http://www.namlab.com/news/events-1/novel-high-k-application-workshop HERALD collaboration. Chair: Uwe Schroeder. 1er Workshop Reseau des Acteurs Francais de'l ALD, RAFALD, November 16-18, Minatec et Campus Est Grenoble, France. https://sites.google.com/site/rafaldepot/rafald-2015. Symposium of the ALD-Lab: Workshop on Atomic Layer Processing, Dresden, Germany,October 6, 2015 (at SEMICON Europa 2015). Link. Chairs: Johan W. Bartha, Jonas Sundqvist. Annual meeting of the COST project HERALD (http://www.cost.eu/COST_Actions/mpns/Actions/MP1402), Tartu, Estonia, September 30, 2015. http://www.bald2015.ee/herald-day/. Leader: Simon Elliott. Baltic ALD 2015, 13th International Baltic Conference on Atomic Layer Deposition, Tartu, Estonia, September 28-29, 2015. http://www.bald2015.ee/. Chairs: Jaan Aarik and Kaupo Kukli. ALD Russia 2015, International workshop Atomic Layer Deposition Russia 2015, Moscow-Dolgoprudny, Russia, September 21-23, 2015. http://ald-conf.ru/. Chair: Anatoly Malygin. Local organizers: Andrey Markeev, Andrey Zenkevich. Records: travel report by Puurunen. ALD 2015, 15th International Conference on Atomic Layer Deposition, Portland, Oregon, USA, July 1-2, 2015. http://www2.avs.org/conferences/ALD/2015/index.html. Chairs: Charles Winter, Dae-Gyu Park. Nanomanufacturing: ALD FUNdamentals, Eindhoven, The Netherlands, June 8-9, 2015. http://www.nanomanufacturing.nl/. Workshop leader: Erwin Kessels. 3rd Annual Seminar of Finnish Centre of Excellence in Atomic Layer Deposition (ALDCoE), Helsinki, Finland, March 19, 2015. http://kemianseurat.fi/kemia/kp2015/. Chair: Markku Leskelä. The 2nd International Conference on ALD Applications & 3rd China ALD conference, Shanghai, China, October 16-17, 2014. http://www.c-ald.org/ald/index.html. Chairs: Shi-Jin Ding, Yongfeng Mei. Symposium of the ALD Lab Dresden 2014, October 7, 2014 at SEMICON Europa 2014 in Grenoble, France. Link. Chairs: Johan W. Bartha, Jonas Sundqvist. ALD 2014, 14th International Conference on Atomic Layer Deposition, Kyoto, Japan, 15-18 June, 2014. http://www.ald2014.org/. Chairs: Yukihiro Shimogaki and Christian Dussarrat. Records: Abstract book, CD/DVD proceedings. Baltic ALD 2014, 12th International Baltic Conference on Atomic Layer Deposition, Helsinki, Finland, May 12-13, 2014. Annual seminar of Finnish CoE in ALD. http://www.aldcoe.fi/bald2014/. Chair: Markku Leskelä. Atomic Layer Deposition Symposium of the ALD Lab Dresden, Dresden, Germany, October 8, 2013 (at SEMICON Europa 2013). Link. Chairs: Johan W. Bartha, Jonas Sundqvist. ALD 2013, 13th International Conference on Atomic Layer Deposition, San Diego, California, USA, July 28-31, 2013. http://www2.avs.org/conferences/ALD/2013/index.html. Chairs: Jiyoung Kim, Paul Ma. Records: Abstract book, CD/DVD proceedings. Finnish Symposium on ALD by the ALDCoE (with Kemianpäivät), Helsinki, Finland, May 21, 2013. Chair: Markku Leskelä. 1st International Conference on ALD Applications and 2nd China ALD Conference, Shanghai, China, October 15-16, 2012. Chairs: David Wei Zhang, Wei-Min Li. Report: Picosun press release. Symposium of the ALD Lab Dresden 2012, October 9, 2012 at SEMICON Europa 2012 in Dresden. Link. Chairs: Johan W. Bartha, Jonas Sundqvist. Joint AVS-ALD & BALD 2012, 12th International Conference on Atomic Layer Deposition, Dresden, Germany, June 17-20, 2012. http://ald2012.namlab.com/. Chairs: Uwe Schröder, Mato Knez. Records: Abstract book, CD/DVD proceedings. ALD 2011, 11th International Conference on Atomic Layer Deposition, Cambridge, Massachuchetts, USA, June 26-29, 2011. http://www2.avs.org/conferences/ald/2011/index.html. Chairs: Jill Becker, Gary Rubloff. Records: Abstract book, CD/DVD proceedings. 1st ALD Scientific Meeting 2010 China. Chair: Wei Zhang. Report: Picosun press release. (ALD 2010) Seoul, Korea. Chairs: Cheol Seong Hwang, Cha Young Yoo. Records: Abstract book, CD/DVD proceedings. (Baltic ALD 2009) Uppsala, Sweden. ALD 2009, 9th International Conference on Atomic Layer Deposition, Monterey, California, USA, July 19-22, 2009. Chairs: Jeffrey Elam, Ana Londergan. Records: Abstract book, CD/DVD proceedings. ALD 2008, 8th International Conference on Atomic Layer Deposition, Bruges, Belgium, June 29 - July 2, 2008. http://www.phys.tue.nl/ALD2008/. Chairs: Erwin Kessels, Annelies Delabie. Records: Abstract book, CD/DVD proceedings. (Joint E-MRS + Baltic ALD) Warsaw, Poland, 2007. ALD 2007, 7th International Conference on Atomic Layer Deposition, San Diego, California, USA, June 24-27, 2007. Chairs: Yves Chabal, Glen Wilk. Records: Abstract book, CD/DVD proceedings. (Baltic ALD 2006) Oslo, Norway. (ALD 2006) Seoul, Korea. Chair: Hyungjun Kim, Shi-Woo Rhee. Records: Abstract book, CD/DVD proceedings. ECS 208th Meeting - Los Angeles, California, USA, October 16-21, 2005. Symposium under "Dielectric Science and Technology/Electronics": Atomic Layer Deposition Applications: Challenges and Opportunities. http://www.electrochem.org/meetings/biannual/208/symposium_topics.htm Organizers: A.R. Londergan et al. ALD 2005, AVS 5th International Conference on Atomic Layer Deposition, San Jose, California, USA, August 8-10, 2005. Chair: Roy Gordon. Records: Abstract book, CD/DVD proceedings. ALD 2004, A joint American Vacuum Society ALD and Baltic ALD conference Celebrating 30 years of ALD, Helsinki, Finland, August 16-18, 2014. http://www.helsinki.fi/ALD2004/. Chair: Mikko Ritala. Records: Abstract book, CD/DVD proceedings. ALD '03, Atomic Layer Deposition 2003, San Jose, California, USA, August 4-6, 2013. Chair: Gregory Parsons. Records: Abstract book, CD/DVD proceedings. (ALD 2002) Seoul, Korea. Chair: Hyeongtag Jeon. Records: Abstract book, CD/DVD proceedings. (ALD 2001) Monterey, California, USA. Chair: Steven George. Records: Abstract book, CD/DVD proceedings. BaltALE-4, The Fourth Baltic Symposium on Atomic Layer Epitaxy, Tartu, Estonia, October 10-11, 1997. Chair: Arnold Rosental, co-chair: Lauri Niinistö. Records: Book of abstracts (ISBN 9985-60-401-6, (c) Institute of Physics, Tartu). (1996, ALE-4, Linz, Austria) Chair: Helmut Sitter. Records: Proceedings of the 4th International Symposium on Atomic Layer Epitaxy, Linz, Austria, 1996 (Ed. H. Sitter and H. Heinrich), Appl. Surf. Sci. 112 (1997). (1994, ALE-4, Sendai, Japan) Chair: Jun-ichi Nishizawa. Records: Proceedings of the 3rd International Symposium on Atomic Layer Epitaxy, Sendai, Japan, 1994 (Eds. M. Ozeki, A. Usui, Y. Aoyagi, Y. and J. Nishizawa), Appl. Surf. Sci. 82/83 (1994). TKK - TÜ 2. ALE Sümpoosium, 2. ALE Symposiumi, 2nd ALE Symposium, Tartu, Estonia, October 7-8, 1993. Records: Programme and abstracts (programm ja teesid), ISBN 9985-56-008-6, Edited by: J. Aarik and A. Jaek. (1992, ALE-2, Raleigh, NC) Chair: Salah Bedair. Records: Proceedings of the 2nd International Symposium on Atomic Layer Epitaxy, Raleigh, North Carolina, 1992, (Ed. S. M. Bedair), Thin Solid Films 225 (1993). ALE-1, 1st International Symposium on Atomic Layer Epitaxy, Espoo, Finland, Jun 11-13, 1990. Chair: Lauri Niinistö. Records: Proceedings of the 1st International Symposium on Atomic Layer Epitaxy (Ed. L. Niinistö), Acta Polytechnica Scandinavica, Chemical Technology and Metallurgy Series No. 195 (1990), 209 pages. VTT Symposium 54, First symposium on Atomic Layer Epitaxy, Espoo, Finland, December 13-14, 1984. Record: Proceedings, Ed. Riitta Paananen (copy can be obtained from VTT). I'm going to travel in 2017 baltic and I'll be in Sweden in June. I'd like to visit this event ALD 2017. Where I can get more information? Hi aura, I think that there is no further info available yet. There will be a website by AVS coming at some point. I try to keep the info here up to date when I hear more.